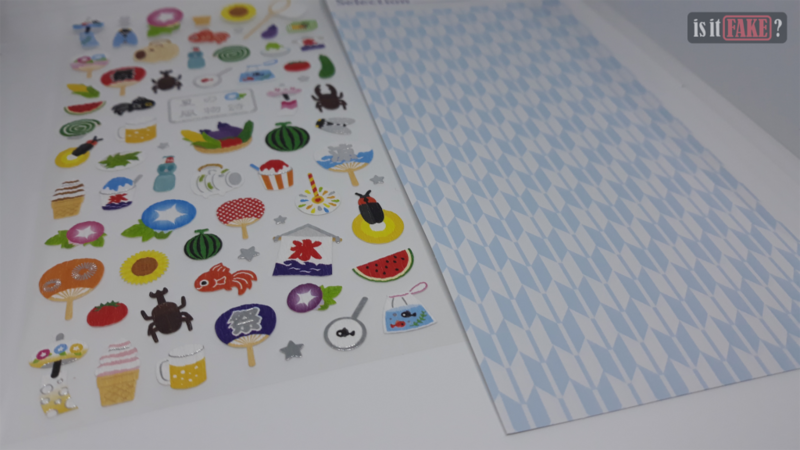 Japan has been known for creating elegant and sophisticated stationery that it doesn’t take much time for stickers, especially from reputable publishers, to get popular. The creative designs they make relates to what we see in Japanese culture, and that’s why the stickers are so unique. 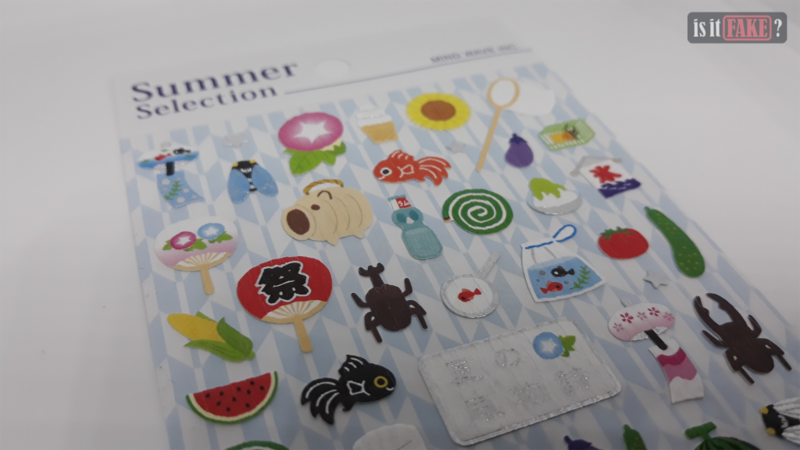 These stickers from Japan could indeed bring life to your scrapbook or personal wall. 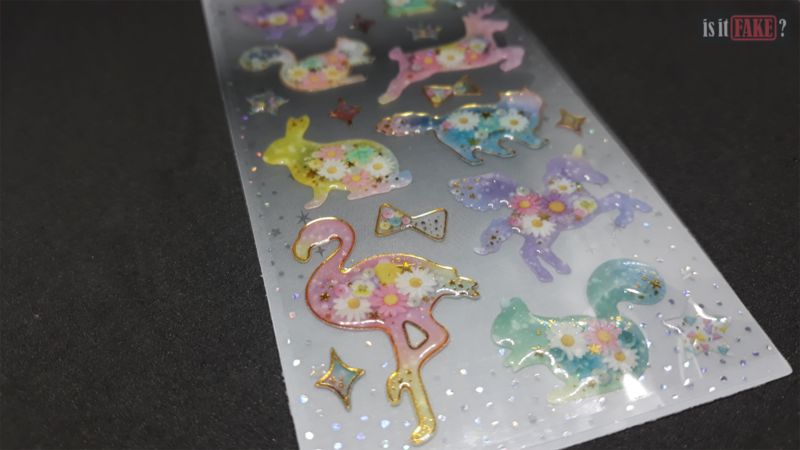 Depending on your taste, the variety of Japanese stickers could also amount from light, and calm to deep, and bright designs. These high-quality stickers from Mind Wave, G.C. Press, and Q-LiA are some samples that give Japan a good reputation when it comes to sticker designs. Mind Wave isn’t somebody new to publishing licensed designs. In fact, they’ve been providing kids and women their stationery needs since 1990. 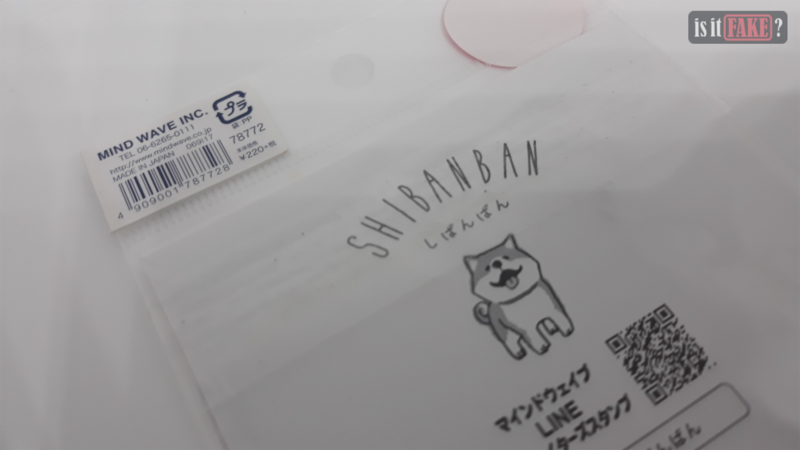 They’ve also acquired licenses from different artists such as Yasuteru Ogoshi for designs like Shibanban. 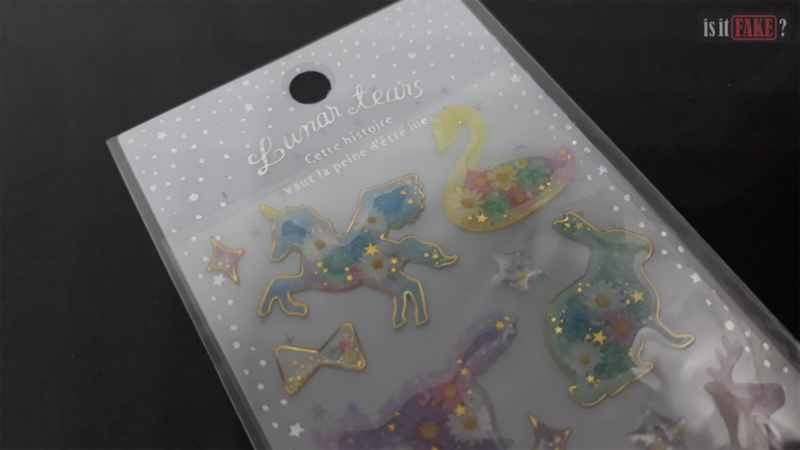 The sticker was bought from a local department store, Tokyu Hands, which is also a certified retail store for different licensed stationeries. 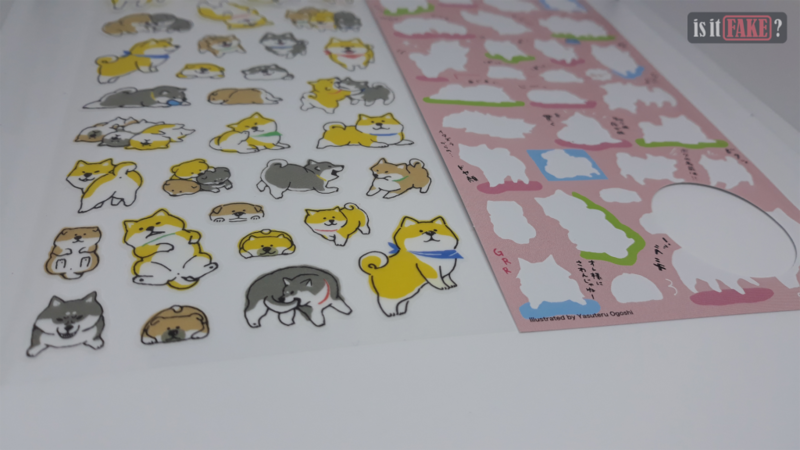 The sticker sheet’s design idea was taken from the Japanese dog breed, the Shiba Inu. 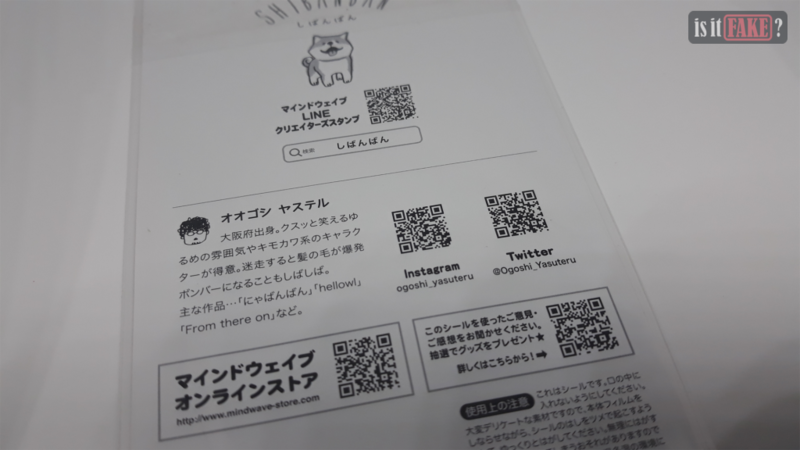 Though the idea might be general for a Japanese sticker, the manner of its art is unique and original thus branded by its artist, Shibanban. The colors are very light-shaded and calm, and somehow would be perfectly matched if used on a diary. The glossy feel of the sticker would also match a smooth-surfaced paper. 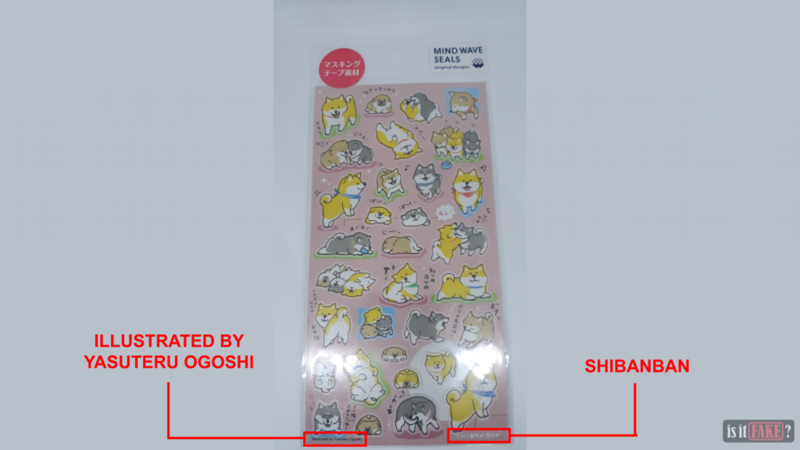 Aside from the color, the stickers are flat and outlined with pink for emphasis on Shibanban and his adorable friends – or is it a ‘she’? 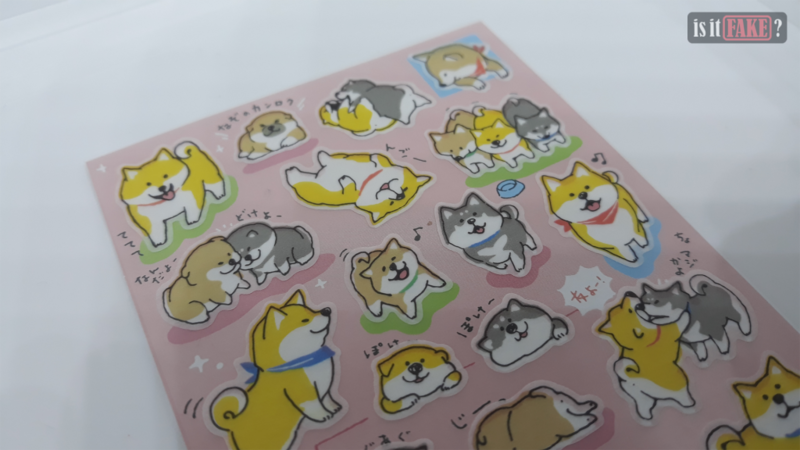 The cute Shiba Inus also have different speech expressions per sticker which would match a certain mood. 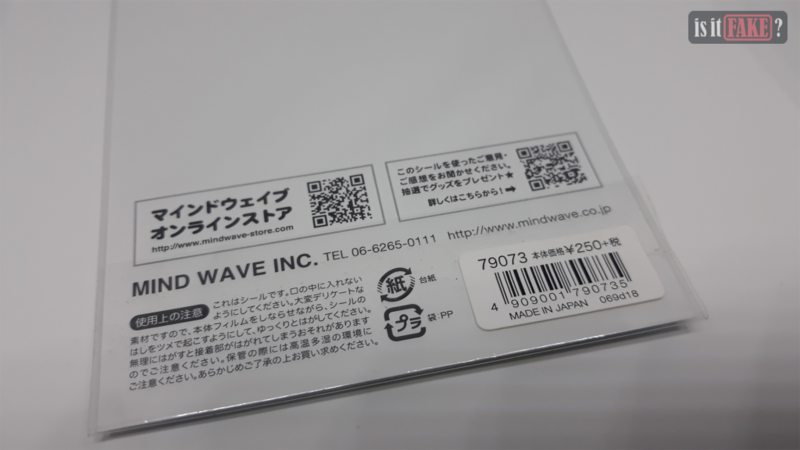 You’ll also notice that the Mind Wave seal is intact while the QR codes direct you to the appropriate links. If you’ll search for the model number on google, you’ll easily find the sticker as a result. 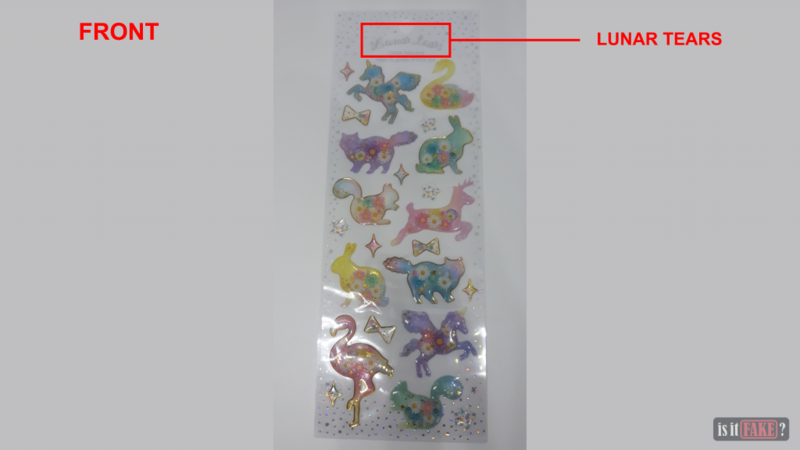 The sticker was bought for approximately $2.14 and can also be bought online from Blippo for about $2 as well. 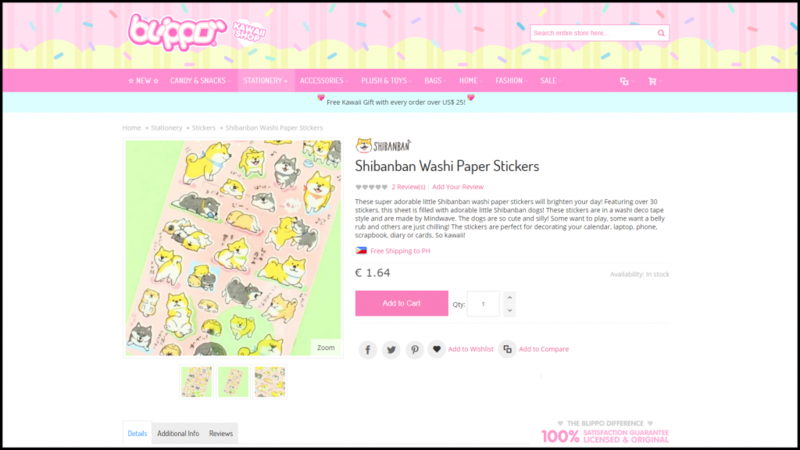 The digital Shibanban stickers, on the other hand, can be bought from Line for $0.99. For more information on the sticker, you may also visit the official Mind Wave store. Mind Wave also has original designs that are made from Japanese paper or Washi. 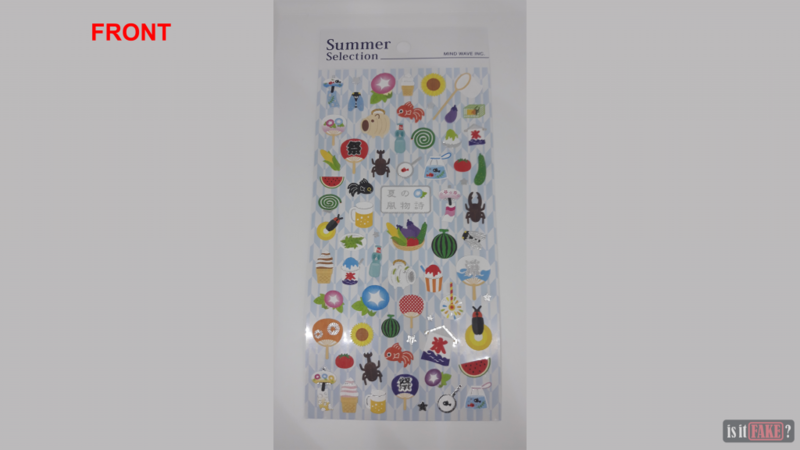 Take a look at this Summer Selection sticker sheet. 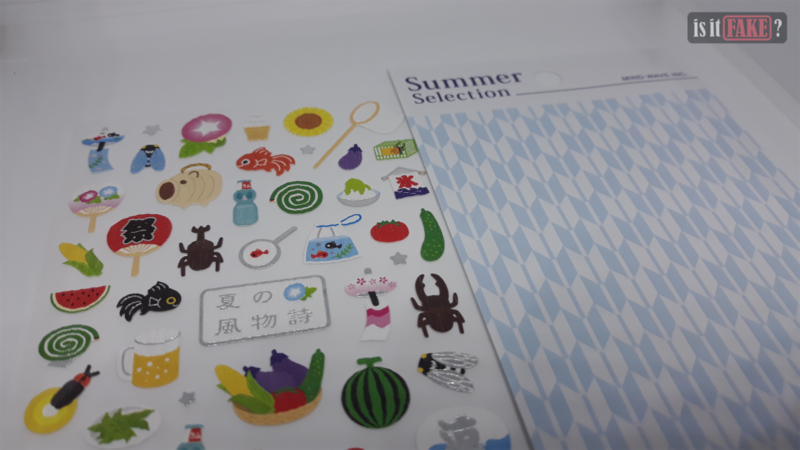 This sticker sheet from Mind Wave was bought from Tokyu Hands, and it represents food and items which are normally seen in a summer festival in Japan. 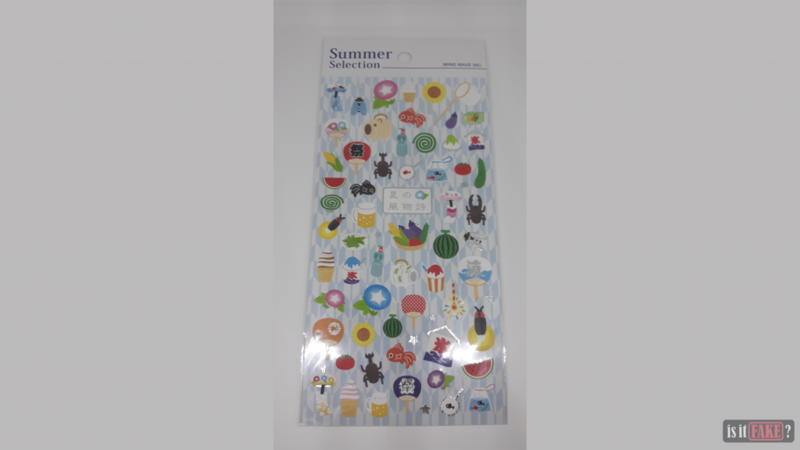 The sticker also has a cool and refreshing vibe that really matches summer season. The material used for the sticker is unique to Japanese culture as it’s made from washi. 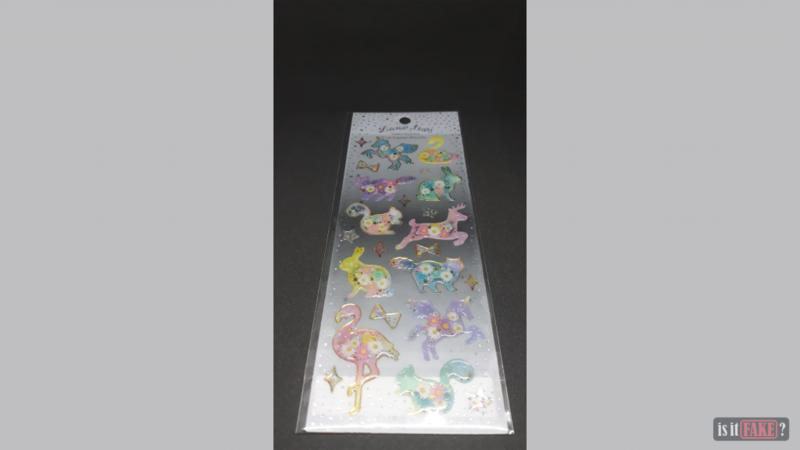 Though not visible from the images, the sticker has a wood-like rough texture, and some stickers with silvery foil luster when light shines upon them. There’s also depth per sticker due to the thickness of the material. They should be a perfect match with hand-drawn art that has a summer theme. The QR codes behind the sticker direct you to where you’re supposed to go. 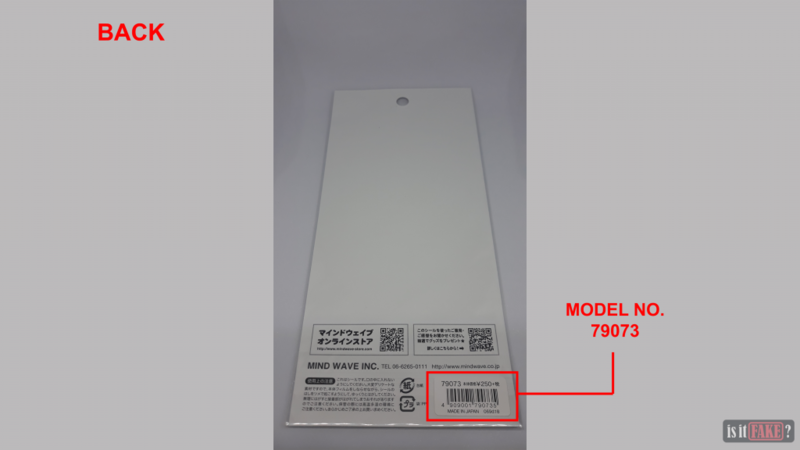 In addition, searching the model number in google would also give you accurate results about the sticker. 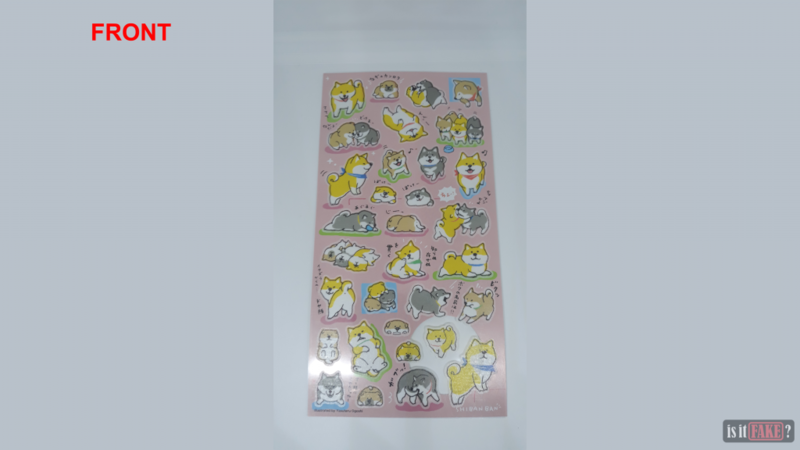 The sticker sheet was bought for approximately $2.43, and you’ll be able to buy it online from Rakuten for $1.95. 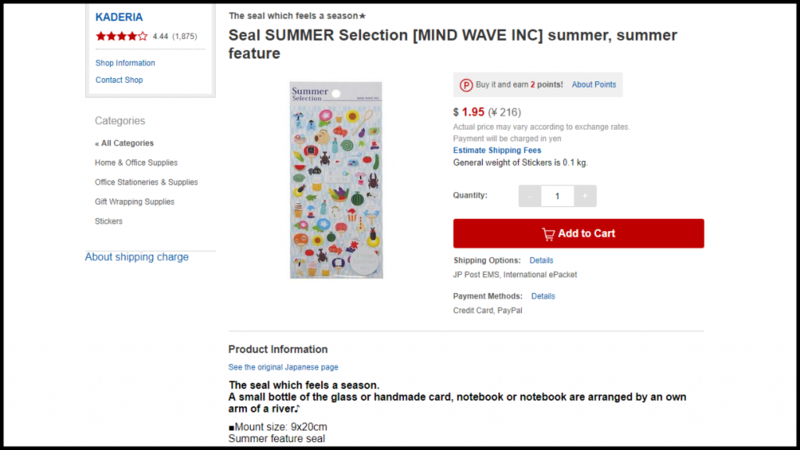 For more information on the sticker, you may visit Mind Wave for more Summer Selection stickers. 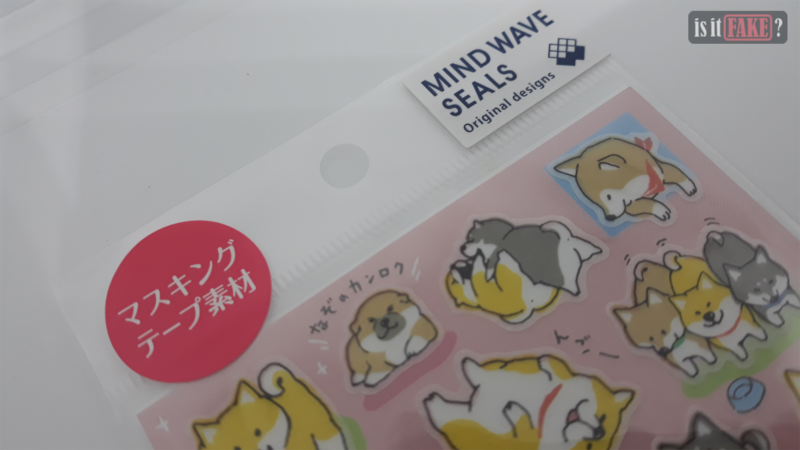 Based on the information we have on these Mind Wave stickers we bought, we’ll be able to confirm that these stickers are guaranteed licensed. Buying it from Japan is also a plus since it is its country of origin. Though, you’ll also be able to find these stickers in trusted websites out of Japan. 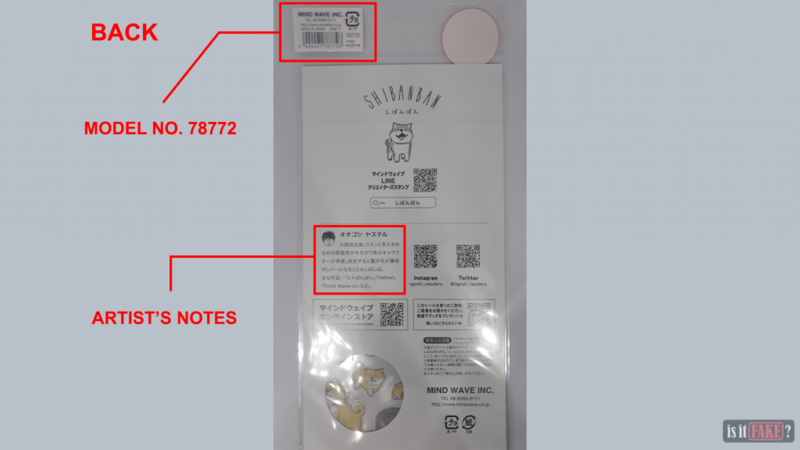 Just a word of caution, it’s possible that stickers may have a counterfeit due to its popularity so it’s recommended to follow our links above. G.C. Press is known for their traditional designs and focuses these designs on innovated traditional letter presentation like invitations or bulletin boards. 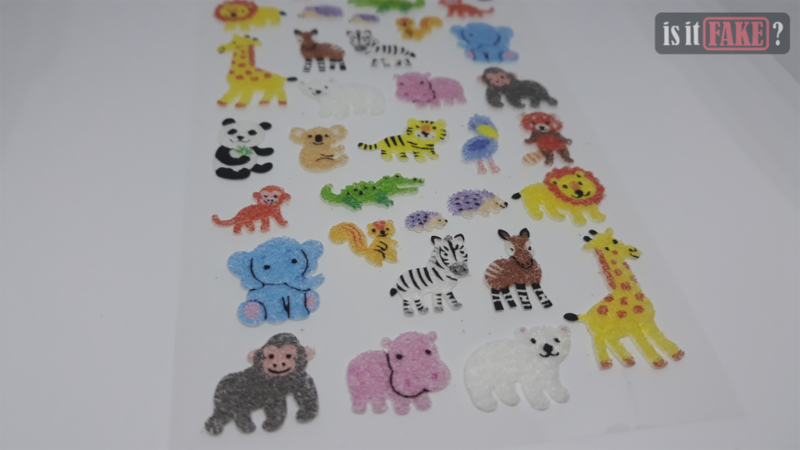 While catering to a mature population, this publisher is also hands-on in making colorful designs such as this fluffy animal stickers. 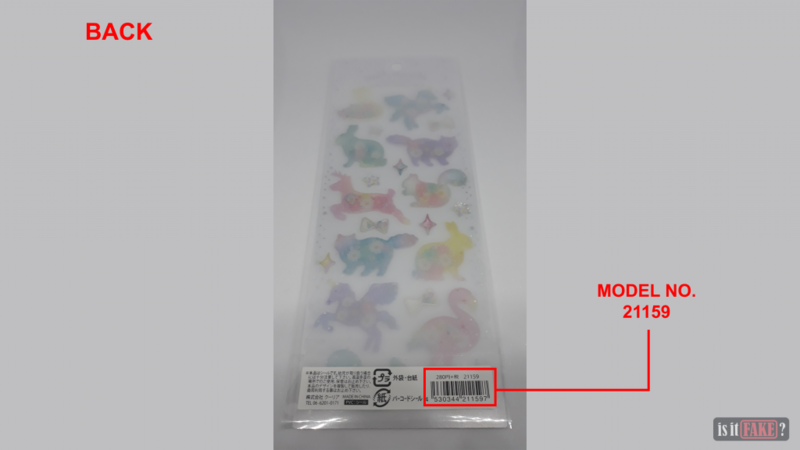 Before we start with the sticker’s description, notice that the packaging for this sticker is very simple but with G.C. Press’ barcode seal telling you that it’s a legitimate item. 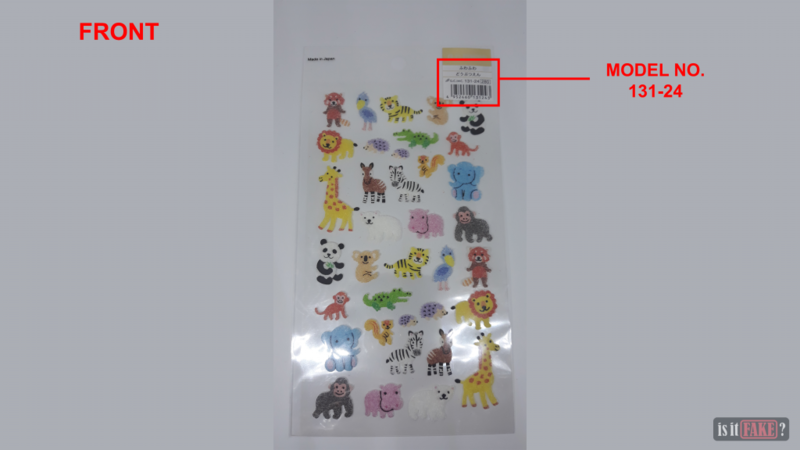 Searching the model number on google should net you results about the sticker sheet. 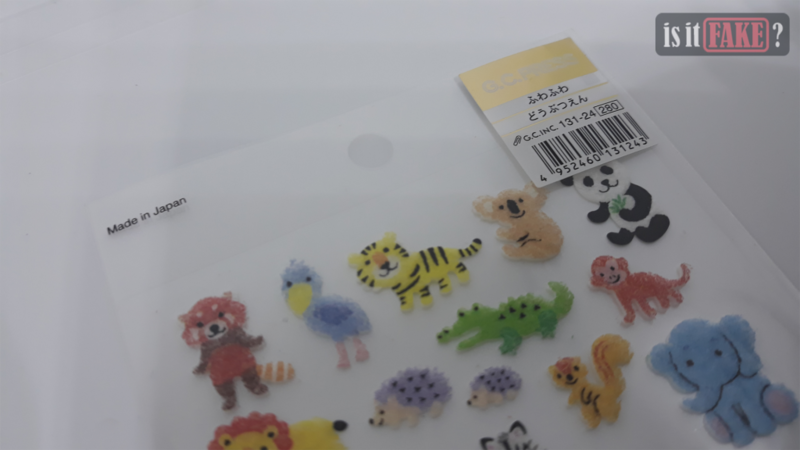 The sticker sheet we bought is a set of fluffy animal seals that children would love on their birthday invitation. 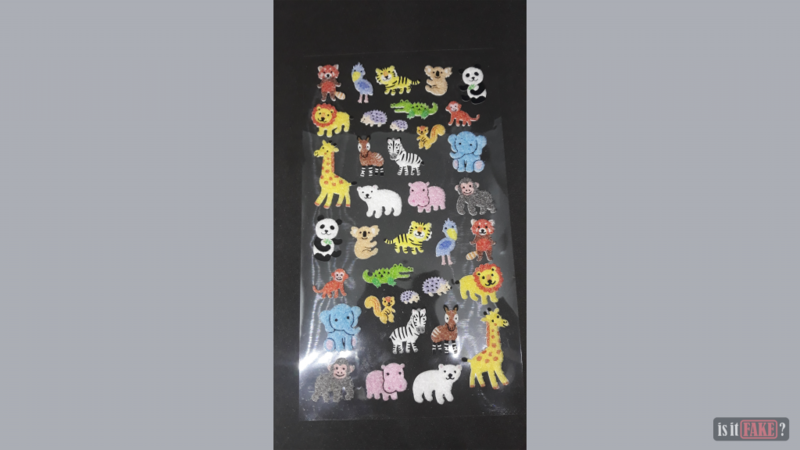 The stickers are composed of different animals and an inverted duplicate per animal. The material used for the sticker is a soft, smooth foam that gives depth to each sticker, and that’s what makes it unique and original. 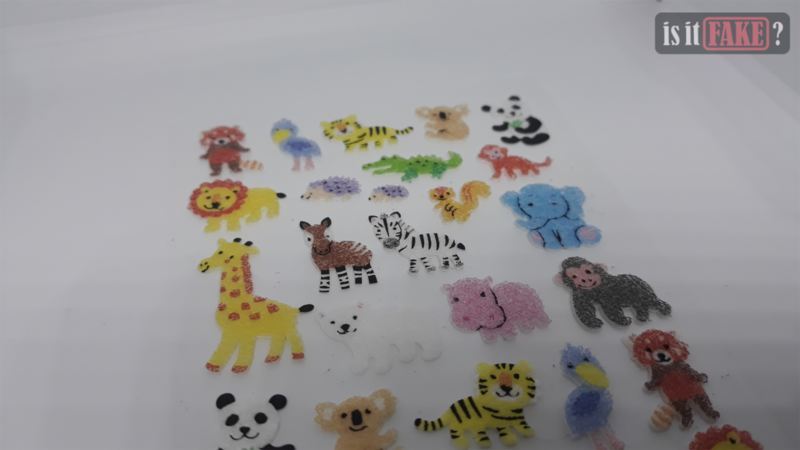 The colorful animal stickers would perfectly fit a kid’s zoo art board. As seen on the images above, you’ll be able to feel the noise on the texture of each stickers. It may visually look rough but the material provides a smooth feel on it. 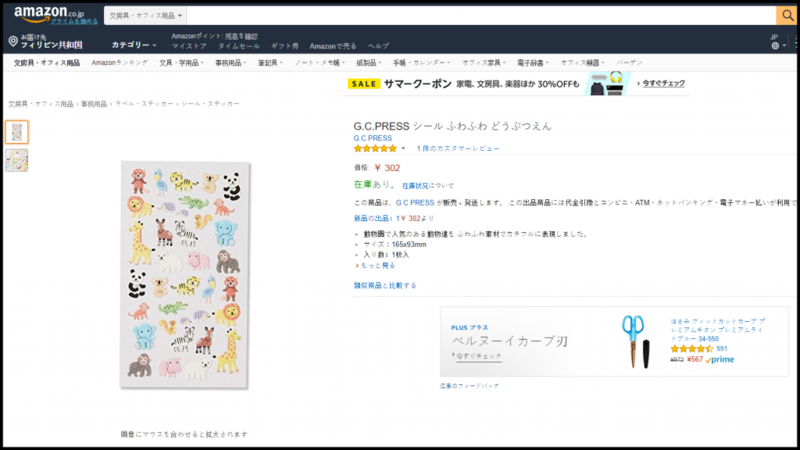 Luckily, these stickers are available on Amazon Japan sold by G.C. Press themselves for the same price as we bought it on Tokyu Hands, $2.73. If you need more information on the sticker, G.C. Press still has stocks in their store as well. Japanese publishers could indeed come up with original designs by using different materials. 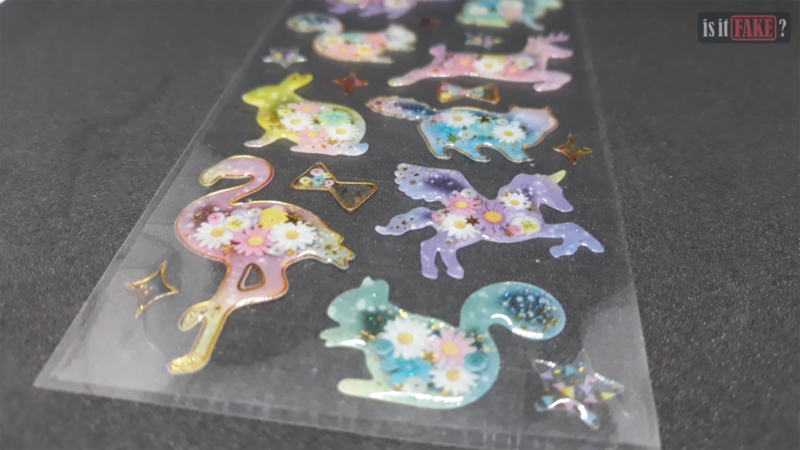 Another type of sticker from Q-LiA is an epoxy sticker which can be described as a glassy-type of sticker. Q-LiA manufactures different stationeries as well as accessories that attract a Japanese female. The concept of their designs come from wide variations. 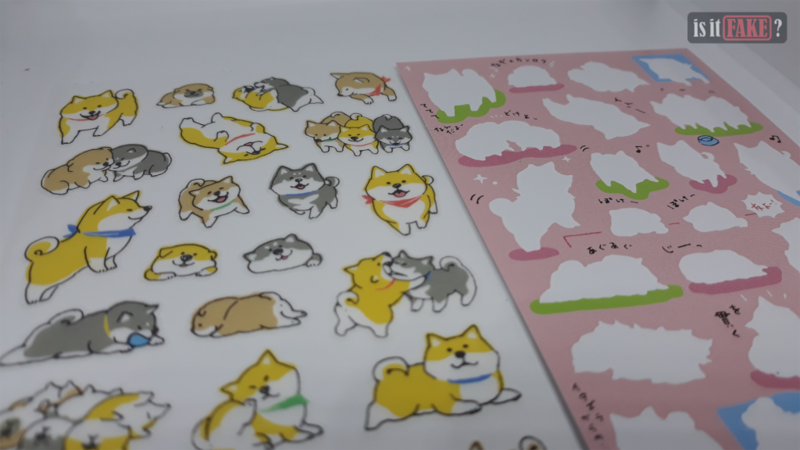 One sticker may have adorable pets in it then the other would have adapted a fairytale concept. That’s how unique Q-LiA pattern their designs. As for the sticker, we’ve bought a 3D sticker that would seemingly look stellar in black background. 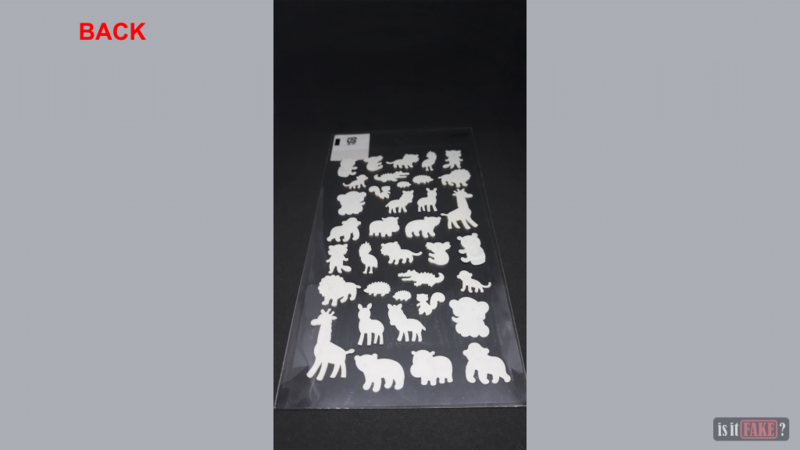 The stickers’ strokes would glow when struck by light, and the animal silhouettes look as if they’re constellations. If you look closely, flowers are also embedded on each sticker for a feminine vibe. 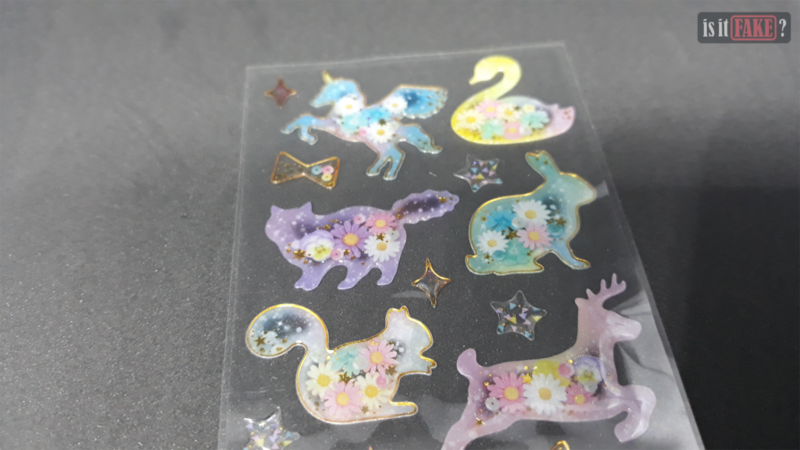 Each sticker is also paired with either a ribbon or a star which could fit an art board with a galaxy or a night theme. The color of the stickers are very cool and refreshing while touching it gives you a glassy feel. 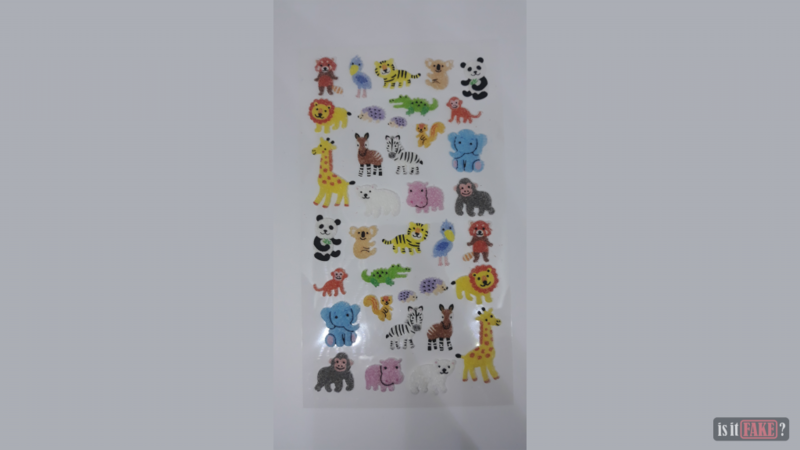 The material used for the stickers is PVC with golden foil, and although it’s made in China, we’re assured with Q-LiA that it’s safe for kids. 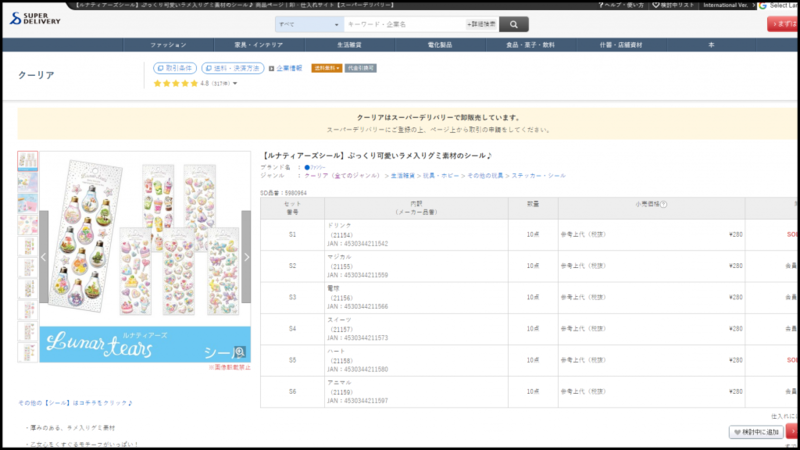 The stickers are available online at Rakuten for $2.72. It’s the same price as the one we bought from Tokyu Hands. 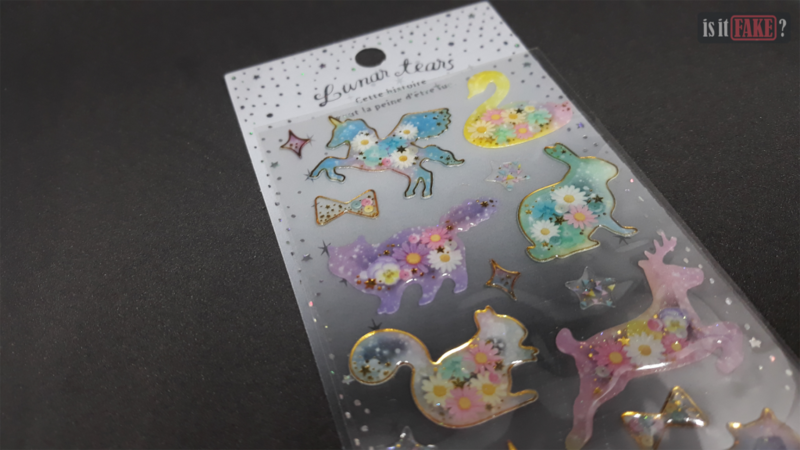 If you want to know more about Q-LiA’s products, you may also visit their online store or their Super Delivery store where we can find their Lunar Tears design in stock – it also comes in different volumes. We made sure to link you trusted stores where you can get these adorable stickers. 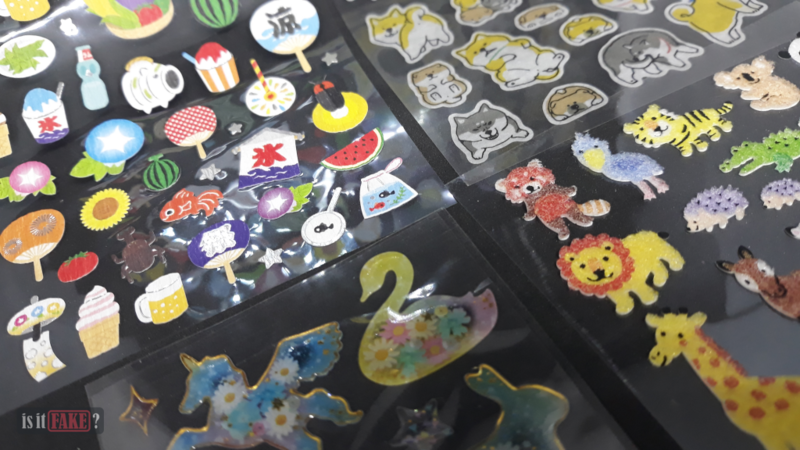 We also recommend to do your research on licensed stickers as this will guarantee your passage to finding high quality and safe-to-use stickers. 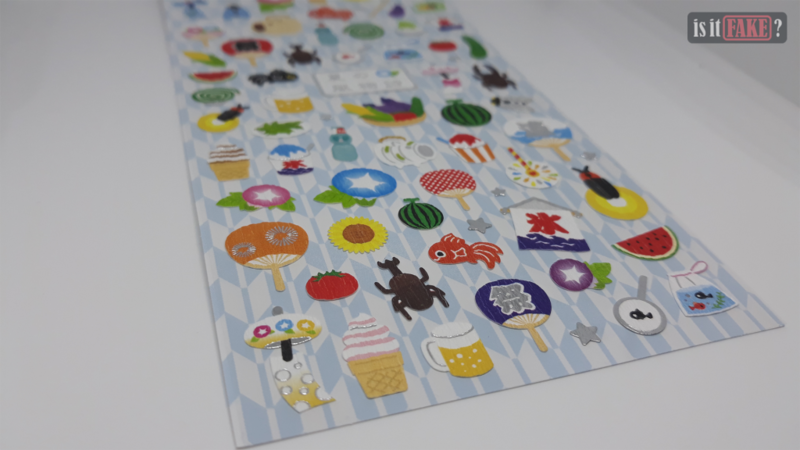 For more kawaii stickers from a wide variety of publishers, you may also visit Kawaii Depot and Blippo. 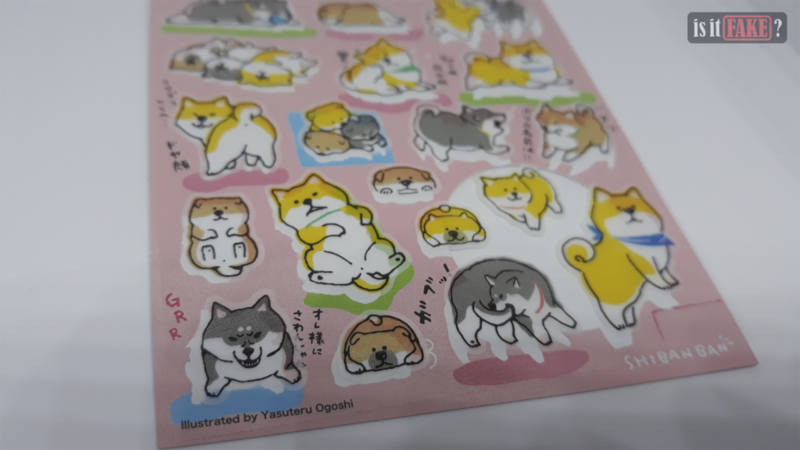 These kawaii stickers are definitely made following a high standard of quality. 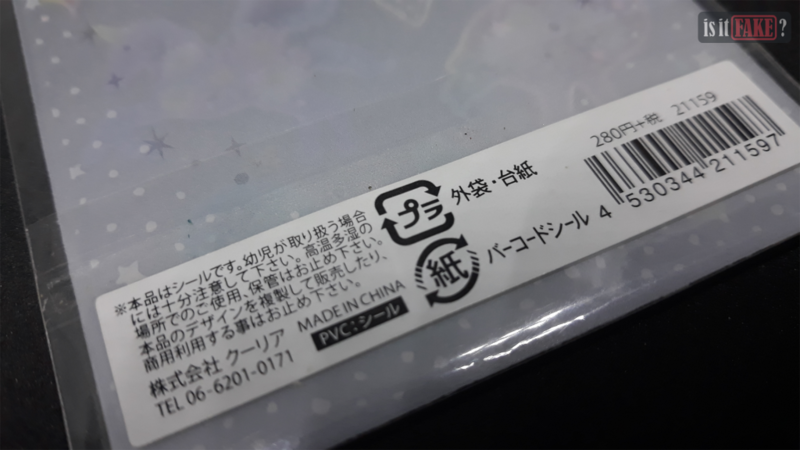 Though we do have one sticker made in China, the country’s reputation for cheap materials was defied due to Q-LiA’s standard. The designs are all unique and original, and would definitely set your papers or boards to life. Undoubtedly, Japan has never disappointed fans with its quality-made stickers. These stickers are by far, excellent examples of a legitimate and licensed product. Thus, we give these stickers a rating of 110% – AWESOME!